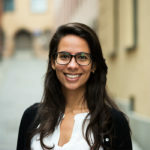 I can still remember how insecure I was feeling about my accommodation offer when I left Brazil to come to Lund. There were many questions rounding my mind: Will my studio be very small? Will it provide me everything I need? How does it look like? Not only me, but all my colleagues faced the same problem, as the accommodation agencies in Lund don’t provide that much information, nor updated pictures. 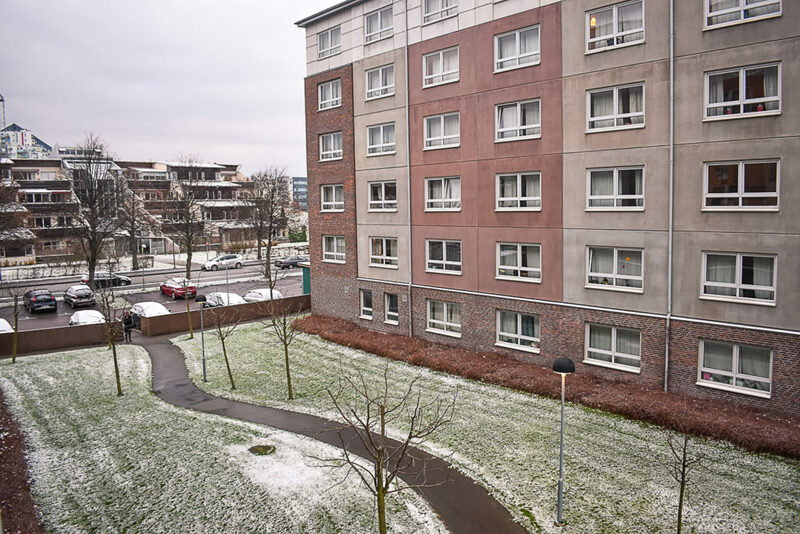 According to them, they don’t provide pictures of the housing options in Lund because they cannot guarantee that all rooms and apartments will look like the same in real life. 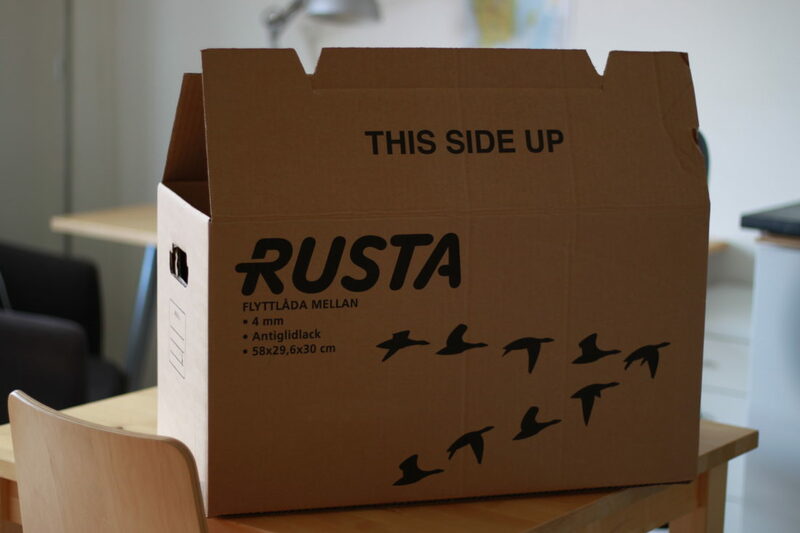 Although I understand their argument, I cannot deny that it was terrible for me to move to a different country without knowing more details of the place I would be living in for one year. 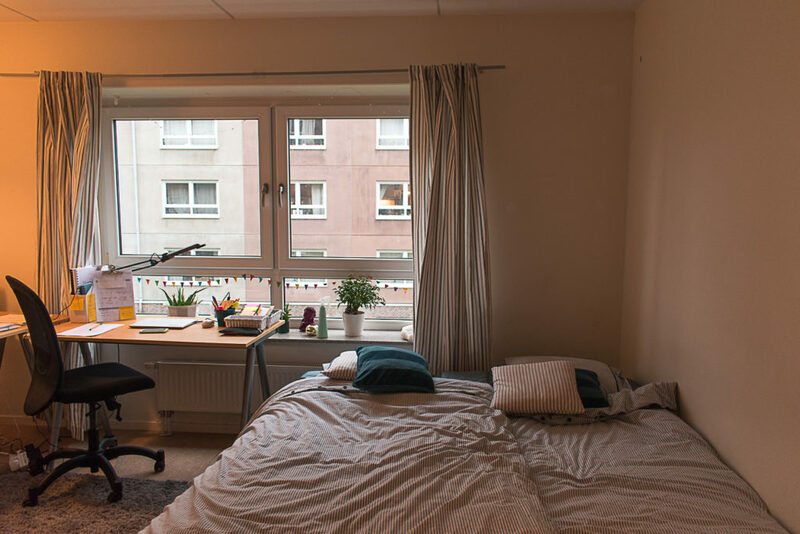 Thus, I decided to create “Accommodation in Lund” series of posts to feature some accommodation offered by LU Accommodation and show you in pictures how they look like and make sure you know what to expect. Klostergården is located in the south of Lund and consists of two five-floor buildings. 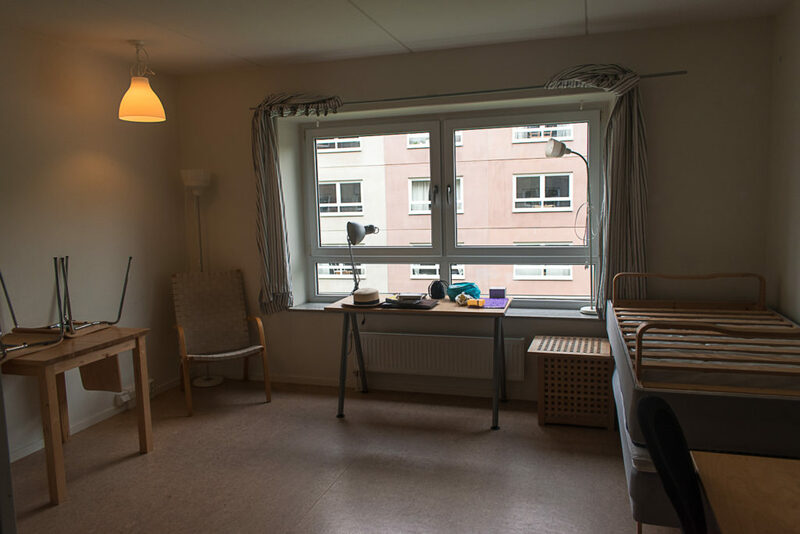 A majority of the rooms in Klostergården are studio flats for one person, but some rooms have been furnished for two students to share and a few apartments are one-bedroom apartments, perfect for couples. 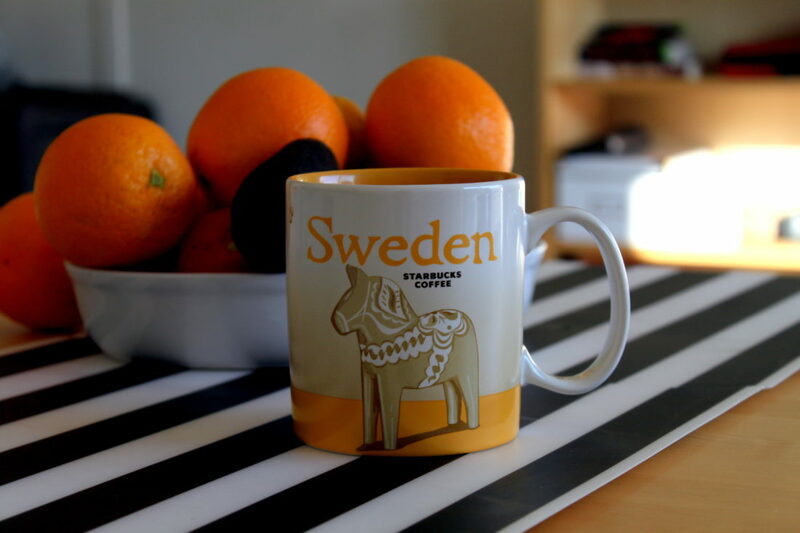 As I moved to Sweden with my partner, I was assigned one of those studio flats prepared for two people, therefore you will notice some differences between my apartment and the regular ones. In my room, I have two single beds, which were transformed into a double bed with the help of an IKEA foam bed bridge. Also, I have two study tables, lamps, and chairs, but except for that, my apartment is just like the regular ones for one person only. 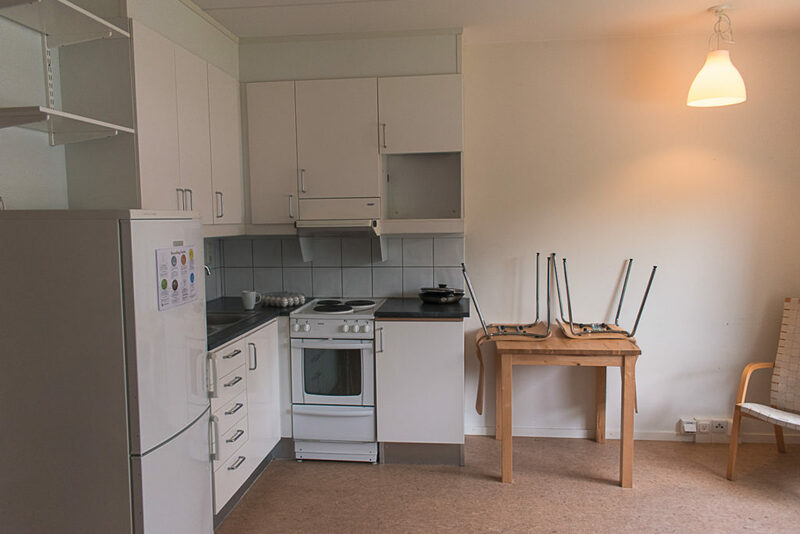 The regular studio measures approximately 25 square meters and it is, in my opinion, a very convenient and comfortable place to live in Lund, especially if you have the place for yourself only. As you can see, there is no division in spaces, which means that bed, kitchen, and study tables are all connected and that makes the studio look bigger than it actually is. Also, the toilet is actually much better and bigger than I expected and the shower is excellent, so I am super satisfied with that part of the studio. 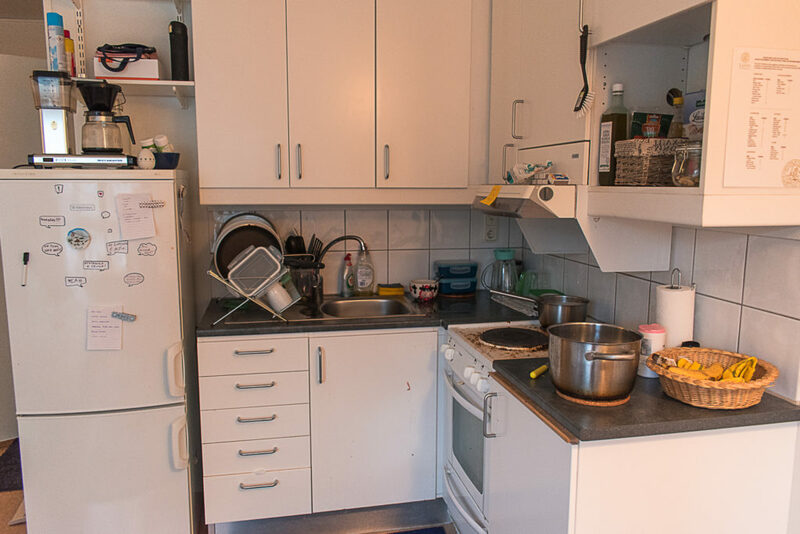 The kitchen is fully equipped and comes with basically everything you need, except some home appliances, such as a mixer, toaster, coffee machine etc, but you can buy it second hand when you get here. 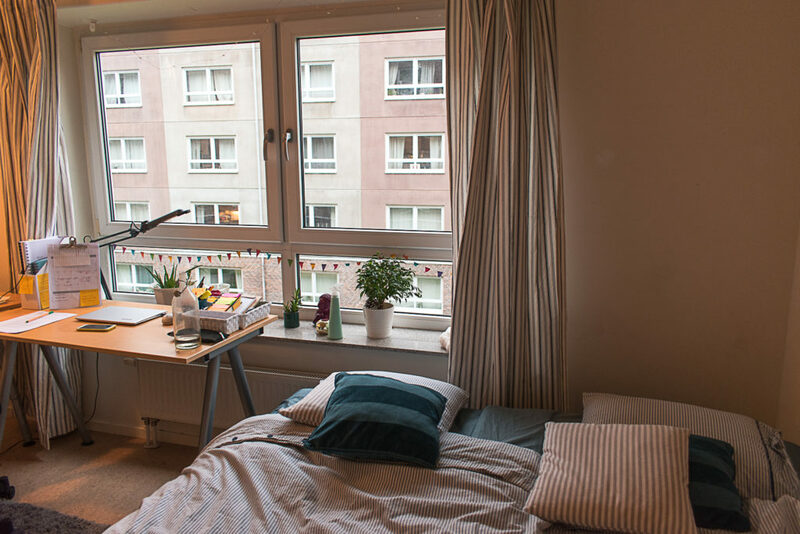 My favorite part of all is the window, which is big and very helpful on the hard task of surviving the Swedish darkness, as it allows the maximum of light to get into the apartment. 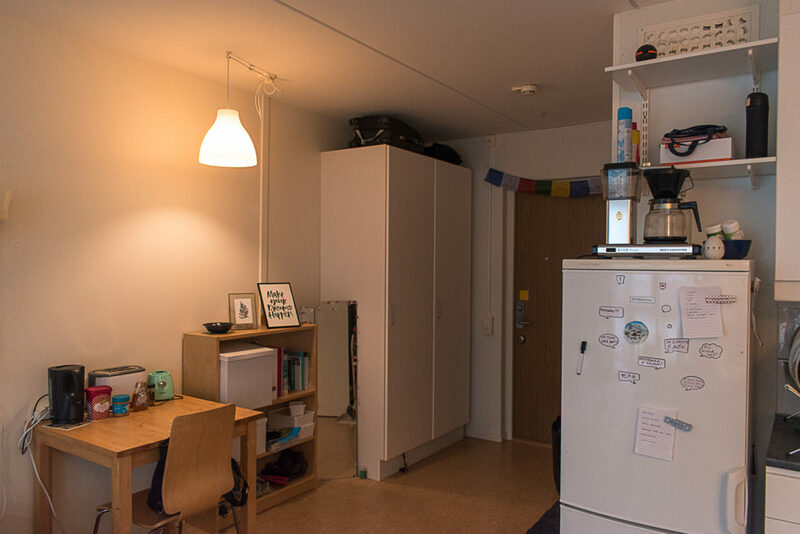 Besides the 122 studio flats available, there are also 29 twin rooms and 7 one bedroom apartments and they are all rented to international students! 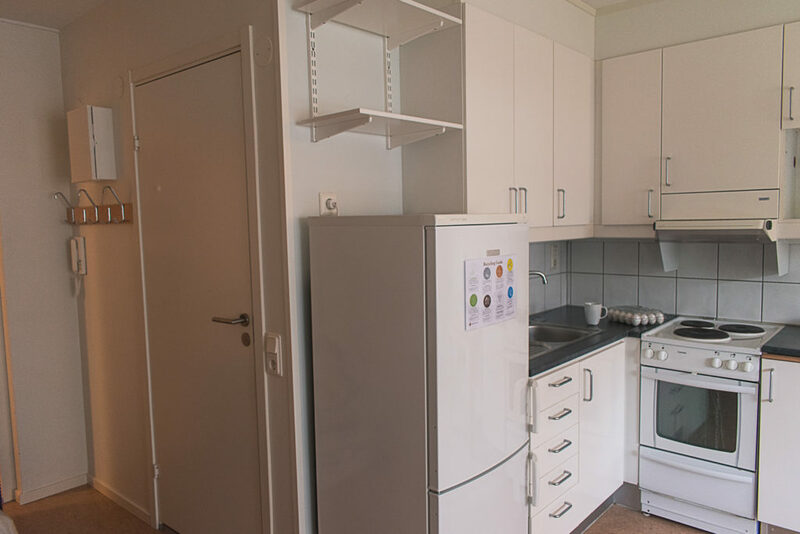 The rent of the Studio flat costs approximately SEK 4600 a month (2017-2018) and it is a very good price for what you get, as it also includes electricity, water, laundry, and internet! 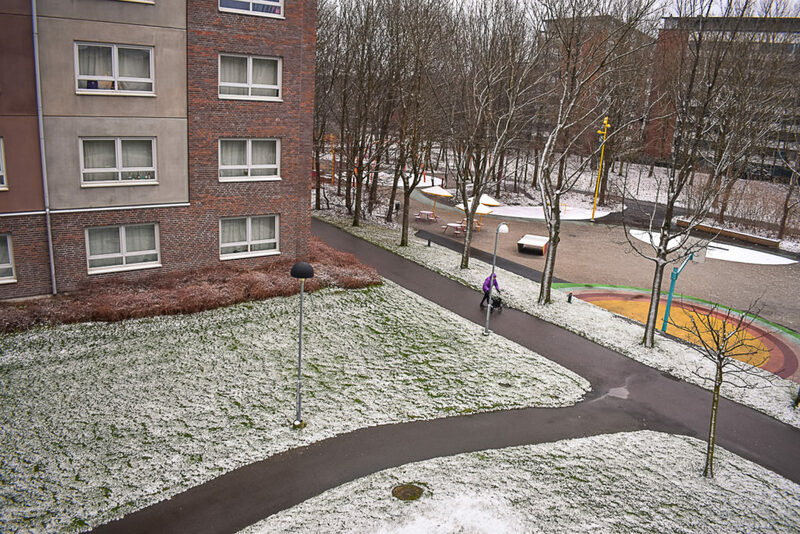 There are two grocery stores – COOP and NETTO – very very near to the building and the bus stop Lund Klostergården is just in front of it! The gym Fitness 24 7 is less than 5 minutes and city enter less than 10 minutes by bike, hence location is clearly convenient for students. It is indeed a very calm, quiet place to live and parties are very rare and that atmosphere makes it one of the best places to focus on your studies! In a nutshell, my experience living in Klostergården is amazing and I would strongly recommend it as one of the best places to live in Lund! I hope you like this series of posts and please let me know if you have any questions or suggestions. 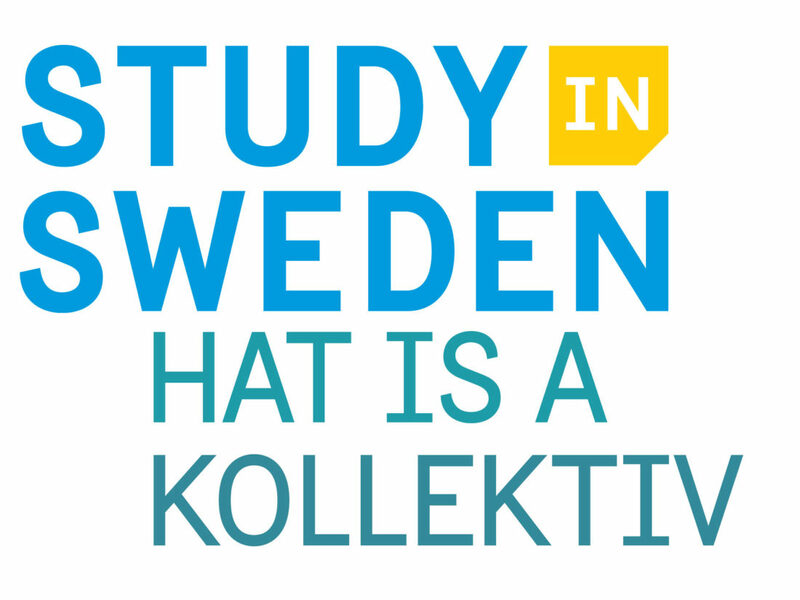 Accommodation and togetherness in Sweden: what is a kollektiv? Thanks for sharing your views on Klostergarden Student House. I have also been made an offer there and was wondering if you could provide your views on the student life there? Is there any communal or outdoor spaces for everyone? Also is there any active social aspects? That is such a great news, I am sure you will love Klostergarden! 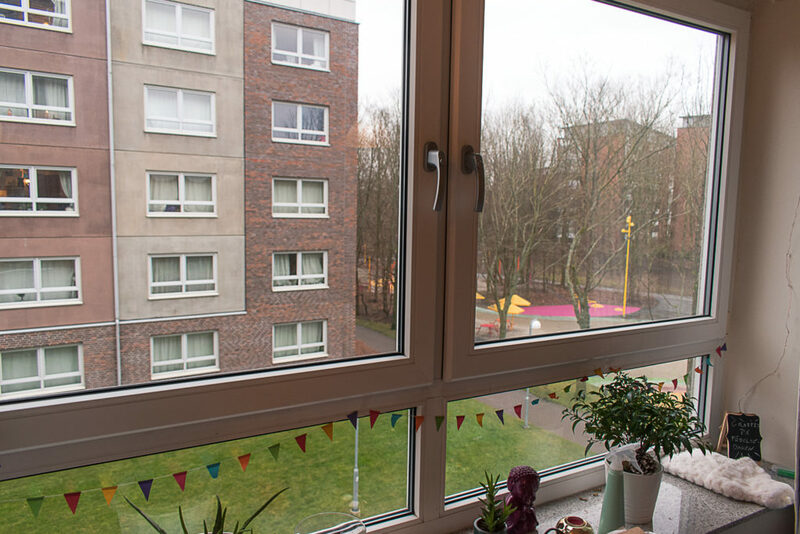 Klostergarden is not at all a social accommodation, so do expect to live in a quiet environment and not to be around student gatherings or parties. Hi Lara. Thank you very much for the post. I have just received an offer of accommodation on Klostergarden and had a concern regarding internet. Just how good is the internet in Klostergarden? Since I am an IT student and most of my work depends on internet, this becomes a factor a decision. Is the speed good and is there a limit/quota to downloads and uploads. Thanks! I had no problems with the internet signal there, and as far as I know, there is no limit for downloads and uploads. However, do keep on mind you are supposed to bring your own wifi modem to connect to their spot. Hi Lara, super thanks for the greatly helpful posts! In regards to the overall cleanliness (my first concern), building maintenance/quality, storage space – which one is a better pick? I realllyy enjoyed living there and can’t recommend enough. 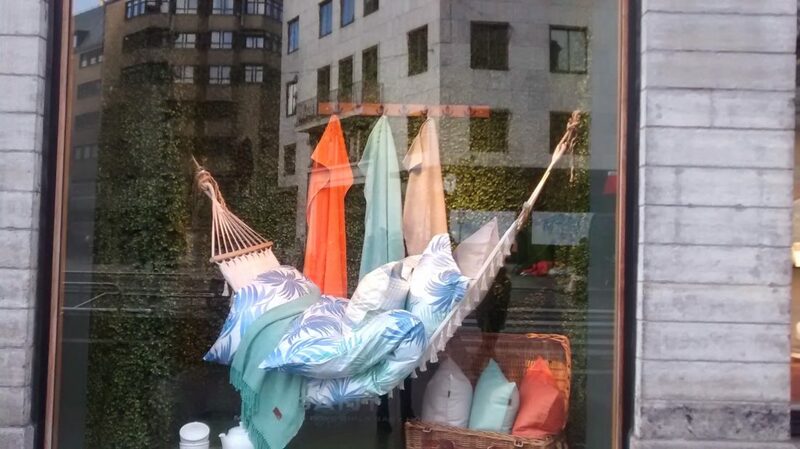 I think the area is much more pleasant and with more functionalities than Pålsjöäng.